Adam and Jeannie interview SundaySky CMO Eric Porres to discuss the new age of personalized video and how personal data is rolled in to drive serious engagement. Eric Porres, is chief marketing officer of SundaySky. 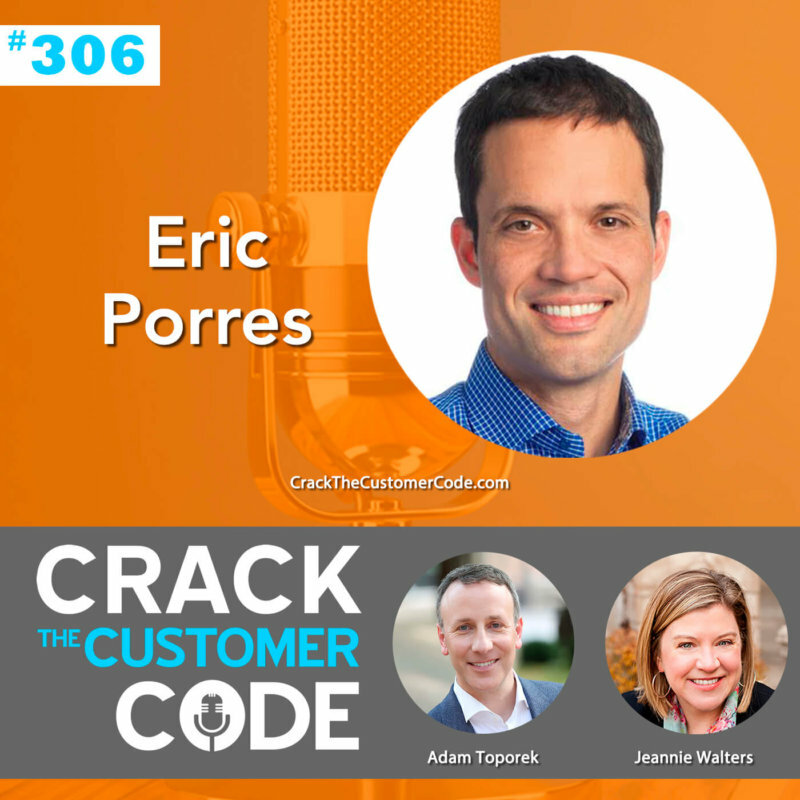 Previously, Eric was the CMO for Sailthru, a provider of personalization software, and CMO for Rocket Fuel, where he helped scale revenue and complete an IPO. Eric was a founding partner of Underscore Marketing, and built the organization into a recognized Inc. 5000 company. He also founded Pericles Consulting, a political marketing firm. Eric has held management positions at AOL Time Warner, Agency.com, Lotame and LiveTechnology. He is an active angel investor and adviser to several startup companies, and graduated from Duke University. What IS a personalized video experience? What is video anymore? Video used to be a “one-to-many” medium for communication, but brands have discovered the power of creating personalized “one-to-one” video. I know, you may be thinking of a video you’ve received from a brand where your name was plopped in at the beginning or end… But what we’re talking about here is quite different. As marketers, many of us have grown accustomed to using merge tags and placeholders to personalize content and communications. But as Eric Porres explains, this is not true personalization. In fact, recent advances in video technology allow us to create “smart videos,” where rich customer data informs the creation of content that drives the customer’s next best action. As we can see from some of the cases Eric tells us about, smart videos have amazing power to drive engagement, loyalty, and more. And forget about keeping it short and sweet! While it may be true that customers have a short attention span when it comes to content consumption, the average customer engages with smart videos for a whopping 108 seconds, and some are even longer. So, how are you using customer data, and how does it affect the way you engage via video? Eric has amazing insights on how you can bring more personal data into videos that are not only more relevant, but drive the next best action. Want to learn how it’s done? Listen in!